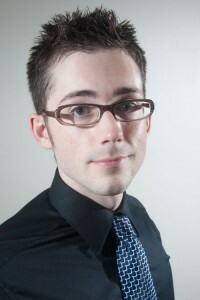 Max Lynch is a Madison entrepreneur and co-founder of Codiqa. Codiqa provides rapid HTML5 mobile prototyping in the cloud. Max shares his journey taking an idea and turning it into a company with us now. In 2012, my friend Ben Sperry and I launched our startup Codiqa, in Madison, Wisconsin. Since the year is almost over, I thought it would be fun to create a timeline of events that carried us through the year, as well as touch on what we are excited about in 2013. When we built Codiqa, we didnâ€™t really have any plans to turn it into a business. We built it because we were doing jQuery Mobile development through the standard mockup -> prototype -> end-product process, and we thought mockups were redundant when the end-product technology was known (in this case, jQuery Mobile). Why not have a simple interface builder for jQuery Mobile that could quickly build these kinds of apps? There were a few visual builders for jQuery Mobile, but we largely put them out of our mind since we just wanted to build something that was ours. We started playing around with the idea late in 2011, but we hadnâ€™t shown it to anyone yet. Ben and I also had full time jobs at a local mobile game startup, PerBlue, so we were juggling our 9-5s and our side project. Before we had a working product, we threw together a fun landing page that had an interactive demo and a viral share option upon entering your email for our beta mailing list. Through this landing page, we grew to about 1500 interested beta users, primarily through Twitter shares. When we felt like we had a product that worked well enough, we started inviting some of our initial users into the beta. The biggest feedback we received was that this was awesome… but way too buggy. Ben and I had just read about the Lean Startup method, and we were trying to apply it to Codiqa by releasing early and often, testing our ideas with customers, and tweaking them when we had learned what worked and what didnâ€™t. Over the next few weeks we took what we learned and the bugs we found and tweaked and improved it, releasing many small updates in a short amount of time. By the end of February, we felt confident we had something that worked well enough that we could open the product up to the public. We sent an email out to our beta list inviting everyone to the new site, and we replaced our landing page with a real site. A few weeks before our beta, we started showing the jQuery Mobile team what we had built. We thought it was be an awesome way to give back by making an embedded version of our tool that would make it easy for anyone coming to the jQuery Mobile site to build an app and try it out right away. They agreed, and we tried to figure out a way to make it happen. At the end of February, we launched an embedded version of Codiqa directly on jquerymobile.com, and started to slowly grow our user base. But wait, there’s more! Find out the rest of Codiqa’s journey of Building their Startup from Scratch – including Monetization, MVP, Marketing, and more! Read the full post here. 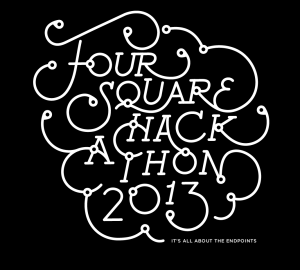 Foursquare is inviting developers all around the world to join by banding together in their hometowns and hacking up some awesome connected apps of their own on Saturday, January 5th. Madison startups SnowShoe and Hoos.in are hosting the Madison location of the Global Foursquare Hackathon. There are prizes, swag, and glory for the best Foursquare and SnowShoe hacks. SnowShoe also just announced their newest API. Come join at Madison’s Historic Train Depot (640 West Washington Ave, suite 201) for a day of high-stakes hackery, food, drink and merriment. For more info and to RSVP, go here. 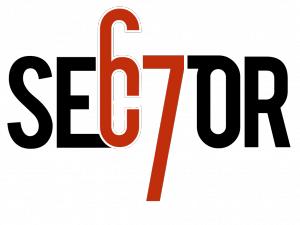 Apollo67, a group from the Sector67 hackerspace, had their third near-space launch this weekend. 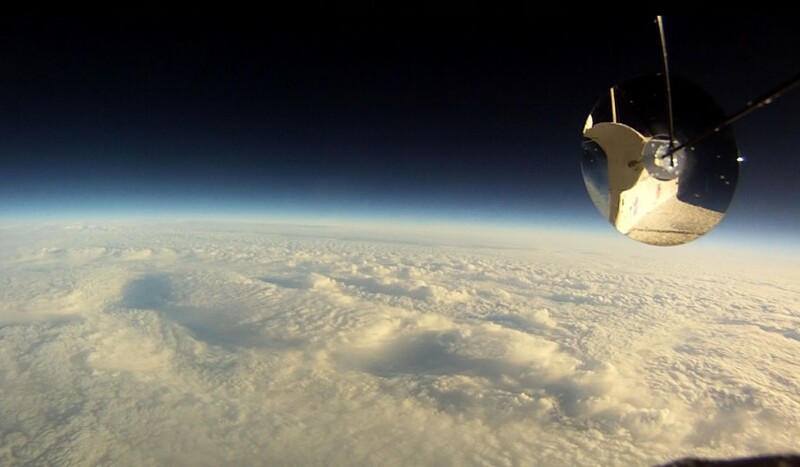 This project is the result of a contest among other hackerspaces called Hackerspaces In Space, whose purpose is to create a set of instructions and an example for schools to use as a model to do their own near-space experimentation. The goal is clear instruction, simple design, and low cost. The successful launch began near Platteville, landed east of Madison near Waterloo, and lasted 2.5 hours. The craft carried a handful of electronics, including cameras and a GPS. Checkout the flight video from the onboard camera here (it’s awesome), and read their full launch recap post here. Adam Perkins is a Madison entrepreneur who was part of the InfoActive team as they traveled to the FounderFuel Accelerator in Montreal. InfoActive was formed out of the Startup Weekend Madison event earlier this year. Adam shares his experience at FounderFuel now. FounderFuel (The Montreal based startup accelerator modeled after Techstars) was an amazing experience, no questions. Iâ€™ve always dreamed of being part of an intense business accelerator with like-minded people. The company I went there with, InfoActive (We make data beautiful and interactive. Think interactive infographics. Example: Salaries Around the Globe), was born out of a concept from Startup Weekend not two months before we left. It has been a rollercoaster ride the past three months, learning and accelerating the business. The most important aspect of the experience was the personal education. Going into the program I was new to software startups and assuming nothing, was very helpful. Keeping an open mind when speaking with entrepreneurs, executives, mentors, and investors in addition to listening to the numerous education sessions they had planned, let me absorb everything. We learned about their experiences and how theyâ€™ve succeeded and also failed. On average we had about two learning sessions per week with renowned speakers from all over the world and met with mentors daily. Because FounderFuel was run by a seed stage VC firm (Real Ventures) in Montreal we had the opportunity to work with the partners directly, day in and day out. They see hundreds of companies a year and we had their distilled experience, educating us what works and what doesnâ€™t. They had a tendency to be very â€˜realâ€™ with many of the teams. Honest, brutal, critical feedback is vital for honing any business and FounderFuel gave it. At times I thought teams would break-down, drop-out, or walk-away from the barrage of almost daily input. However, all the teams took the criticism to heart, made changes, and kept moving forward. Everyone came out stronger because of it. every month. It usually lasted six days. If you want to be a successful entrepreneur, get yourself to a world-class accelerator program. The three months packed with education, hustling, and experiences which will change you in ways you cannot imagine. It will make you a better entrepreneur but you have to be open to the experience. I canâ€™t wait to do it again. Hardin Design & Development CEO Jon Hardin was named one of the top 9 Young Entrepreneurs to Watch in the Chicago area by Under30CEO. Under30CEO launched a nationwide campaign this summer to discover the most promising young entrepreneurs from all across the United States. Hardin Design & Development is headquartered in Madison and builds cutting edge iOS, Android, and web applications for companies including Mercedes, Toyota, Coleman Campers and FedEx. Earlier this year, Under30CEO named Madison one of the top 12 Places to Live and Work as a Young Entrepreneur.